This report aims to provide a comprehensive, objective portrait of the U.S. electric grid and the challenges and opportunities it is likely to face over the next two decades. It also highlights a number of areas in which policy changes, focused research and demonstration, and the collection and sharing of important data can facilitate meeting the challenges and seizing the opportunities that the grid will face. 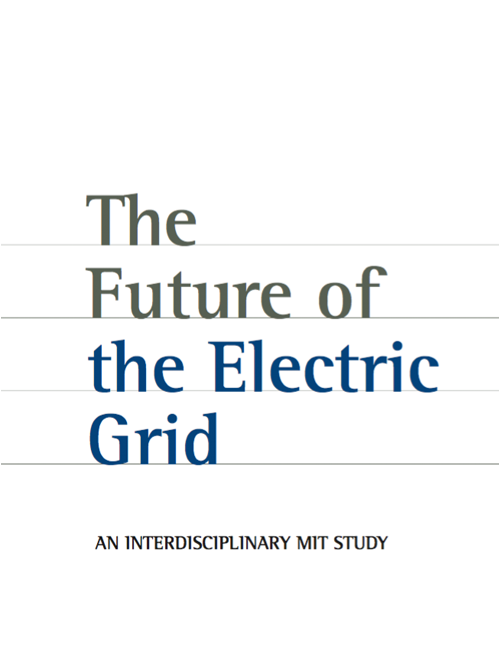 This study is the sixth in the MIT Energy Initiative’s “Future of” series. Its predecessors have shed light on a range of complex and important issues involving energy and the environment. While the previous studies have focused on particular technologies and energy supply, our study of the grid necessarily considers many technologies and multiple overlapping physical and regulatory systems. Because of this breadth, our efforts were focused on integrating and evaluating existing knowledge rather than performing original research and analysis. In addition, this study’s predecessors focused on implications of national policies limiting carbon emissions, while we do not make assumptions regarding future carbon policy initiatives. Instead, we mainly consider the implications of a set of ongoing trends and existing policies.